While the Affordable Care Act has brought health coverage to millions of Americans, the effects have been profound, even lifesaving, for some of those caught up in the nation's opioid-addiction crisis. In Kentucky, which has been ravaged worse than almost any other state by fentanyl, heroin and other drugs, Tyler Witten went into rehab at Medicaid's expense after the state expanded the program under a provision of the act. Until then, he had been addicted to painkillers for more than a decade. "It saved my life," he said. Addicts and mentally ill people who gained access to treatment programs for the first time are worried about how that might change as President Donald Trump and Republicans in Congress try to make good on their promise to repeal and replace "Obamacare." Repeal could end coverage for 1.8 million people who have undergone addiction or mental health treatment and could cut $5.5 billion in spending on such services, said Richard Frank, a health economist at Harvard Medical School. Some GOP governors insist addicts have nothing to fear from repeal because, they say, Medicaid will continue to pay for treatment. But Democrats and others are dubious. Currently the federal government covers a certain percentage of each state's Medicaid costs, however high they might go. As part of the plan to junk Obamacare, the Trump administration has expressed support instead for giving states a fixed amount of money for Medicaid and letting them design their own programs. But Raymond Castro, senior policy analyst for New Jersey Policy Perspective, a left-leaning think tank, said these block grants are likely to come with less money. And that could force states to cut benefits. Republican New Jersey Gov. Chris Christie, who has made the opioid crisis his top priority in his final year in office, said he would support a shift to block grants because of the flexibility they give states. But he said the people receiving treatment through the Medicaid expansion now shouldn't be forgotten. "Whatever changes are made to the ACA should be made with those people in mind, because we don't help ourselves by kicking those people off coverage," Christie said. In areas overwhelmed by the opioid crisis, the uncertainty is worrisome to people receiving treatment. In Pennsylvania, nearly 63,000 newly eligible Medicaid enrollees received drug and alcohol treatment in 2015, the first year of the state's expansion. One of them was 44-year-old Pittsburgh restaurant hostess Erika Lindgren, who credits the health care law with quickly getting her into a 26-day rehab program in 2015 and covering the daily medications she takes to fight opioid cravings. When she was uninsured, getting into rehab involved waiting lists and daily phone calls to see if a publicly funded bed had opened up. With coverage under the Affordable Care Act, "I was able to pack my bag at that moment," she said. "I was in an in-patient rehab within an hour and a half of making that call." "I am scared to death to lose my coverage," she added. "It saves my life every day." In Wildwood, New Jersey, Ashley Grant, a 30-year-old recovering heroin addict who has been sober since June, is hoping to regain custody of her three children. She has signed up for Medicaid under the health law expansion and is waiting to be approved so she can afford weekly counseling. A county program helps pay for a monthly anti-relapse shot. "They should make it easier for people with addiction to get insurance," she said. Care for mental illness, too, expanded under the Affordable Care Act. 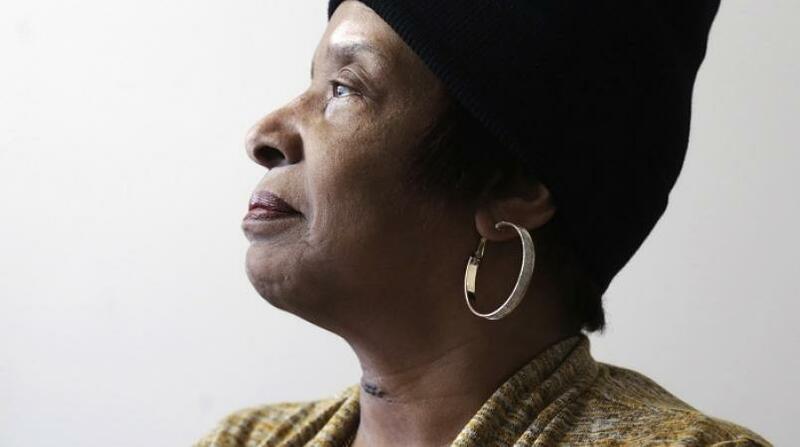 Marquitta Nelson, a 60-year-old homeless Chicagoan with severe depression, is getting psychiatric care and treatment for asthma, arthritis and other conditions since she obtained Medicaid coverage under the health law expansion. She is waiting to be assigned to a shelter and staying with a friend. "Am I expected not to take my medications and wig out and be walking up and down the street, not coherent?" Nelson said. While the law expanded coverage, it did not always translate into more treatment. For those buying insurance in the marketplace, many plans still exclude or limit residential treatment and clinics that dispense methadone, which is used to treat addictions to heroin and painkillers. Deductibles for some plans are so high that people still cannot afford help. Despite those hurdles, the health care law was beginning to shift the system and giving hope to many, said Samuel Ball, chief executive of the nonprofit National Center on Addiction and Substance Abuse in New York. "At a point where we feel we're turning a corner, to have the whole rug pulled out from under us is very concerning," he said.